Lenovo has launched its new device Lenovo vibe k5 in India today. Making addition of one more device in there line-up. 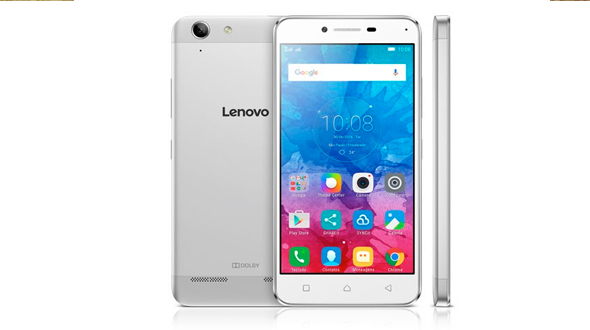 The Lenovo vibe K5 is priced at Rs 6,999 in India, which seems to be great with specs. The Vibe K5 will go for registrations on June 13, starting 1PM exclusively at Amazon.in and the first flash sale will take place on June 22, at 2 pm. Priced at Rs 6,999, the K5 will be available in Gold, Silver and Grey color options. The phone supports 4G and might end the search of affordable 4G Smartphone for many in India. Keeping the price in mind we expect the device to do well in India. On the specifications front Smartphone features a 5-inch HD (720x1280 pixels) display and is powered by an octa-core Snapdragon 415 processor clocked at 1.4GHz paired with 2GB of RAM and 16GB of built-in storage. The handset supports expandable storage via microSD card (up to 32GB). It supports a 13-megapixel rear auto focus camera with LED flash and a 5-megapixel fixed-focus camera. The device runs on Android 5.1 Lollipop and powered up with 2750mAh battery which is claimed to offer a standby time of up to 322 hours on 4G network, and a talk time of up to 15 hours on 3G network. It supports dual Micro-SIMs; measures 142x71x8.2mm, and weighs 150 grams. The Vibe K5 comes with LTE Cat 4 support which means it can match download speeds of up to 150Mbps and an upload speed of up to 50Mbps.